I recently had the extreme honor of meeting with News Macarons founder, Hannah Foerster, to discuss women in business and the challenges of starting and maintaining your own business. Hannah has a gift for drawing extreme honesty out of her interviewees, and in doing this interview I found that I could comfortably share the fears and challenges that we faced as my husband and I established Hummingbird Bridal and Events together. The ceremony took place at St. Mary of the Assumption in Brookline and Boston Harbor Hotel set the stage for an amazing reception. 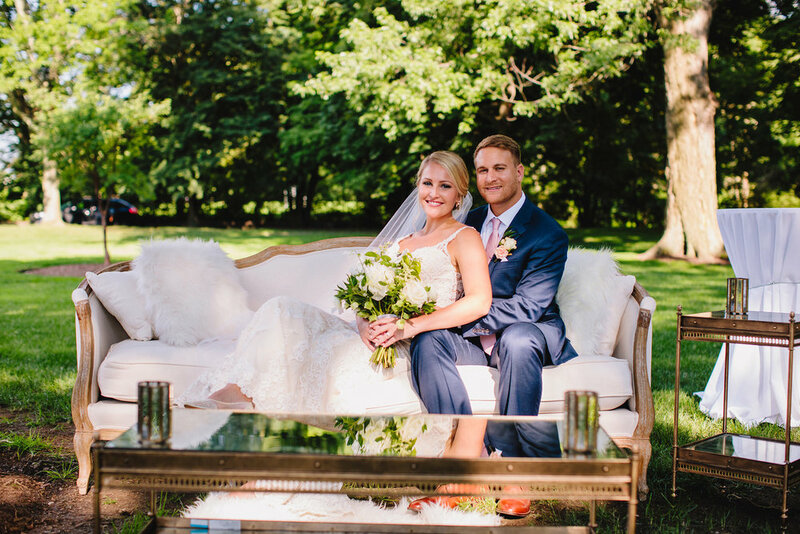 We cruised around town in a vintage trolley as Jason and Emily Kan snapped photos of the bridal party. And yes, we did have a vintage wine barrel shipped from California that served as the best guest book of all time! The Hummingbird Bridal Team loves every wedding that we take on, because every wedding is an amazing adventure, but this wedding was truly unlike any we had seen before. Boston Wedding Planners and Boston Brides and Grooms - take note! 90FS is a 3,000 sf outdoor roof top terrace that overlooks downtown Boston, with another 3,000 sf of equally stunning sunlit indoor space. Boston wedding planner, Hummingbird Bridal and Events is now open on Newbury Street in Boston! Make an appointment to join us for a glass of champagne or a cup of tea and let's dream up something wonderful together.